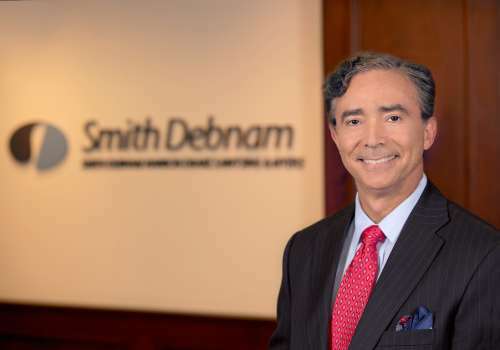 Editor’s Note: On November 3, 2016, Smith Debnam’s Jerry Myers attended a meeting with the CFPB to discuss the proposed rules for third party debt collection. Below, he shares his thoughts from the meeting. On Thursday, November 3, 2016, I joined a group of colleagues for a meeting with the CFPB to discuss its proposed rules for third party debt collection. I was one of four attorney members of the National Creditors Bar Association in attendance. Joining us were representatives from the American Collectors Association and the Debt Buyers Association. The CFPB had invited us to meet with them following their Small Business Review Panel discussion a couple of months earlier. The CFPB asked each of the industry groups to speak about the proposed rules’ impact on their respective industries. Some of our common concerns included the excessive number of notices and disclosures the proposed rules would require, the limits on communications with consumers, and the definition of certain terms, such as “default” and “date of default” which are included in the rules on substantiation. There was also considerable discussion about determining what constitutes a dispute and how disputes should be handled. All of the groups expressed concern over the costs of complying with the new rules and concern that the new rules, once in effect, would not be applied retroactively, as was the case in the PHH litigation. Lastly, all groups encouraged the Bureau to publish the rules for creditors at the same time as the rules for the third party collectors. The attorneys pointed out additional ways that the proposed rules raise difficult issues for attorneys handling debt collection cases. First, the proposed rules require the attorney to provide the consumer with several disclosures and notices. These notices, such as the proposed Statement of Rights, make it appear that the collection attorney is providing legal advice to the consumer. Such advice would violate the Rules of Professional Conduct, since the attorney for the creditor may not also provide legal counsel to the debtor. The proposed rules would also require the attorney to provide a “litigation disclosure” in connection with each communication that includes or evidences a threat of litigation. Since some have argued that most communications by a collection attorney at least imply a threat of litigation, must the attorney provide the litigation disclosure in every communication with a debtor? The attorneys also pointed out the problems we will face under the proposed rules which impose restrictions on communication with consumers. For example, contacts with a consumer are capped at two per week if the collector, or any collector who previously worked on the account, has had a “confirmed consumer contact” with the consumer. Under the rules, a “confirmed consumer contact” exists once any collector, even a prior one, has communicated with the consumer about the debt, and the consumer has answered when contacted that he or she is the debtor or alleged debtor. We explained that such a rule imposes an untenable restriction on attorneys involved in litigation. Depending on how many contacts have been made in a given week, the attorney might not be able to inform a consumer, for example, that the court set a new hearing date or that the creditor accepted a settlement offer. As mentioned above, the proposed rules require a collector to “substantiate” a debt before taking any action to collect it. Among the items the attorney must substantiate — the date of default and amount owed at default; however, the terms “default” and “date of default” are used differently for different types of debt. For example, on a credit card account, there could be several defaults, followed by charge-off, followed by additional payments. Also, on an auto loan, there could be more than one missed payment, followed by a repossession, followed by a sale of the collateral and establishment of a deficiency balance. Trying to define a default, date of default, and the amount due at default for all types of debt would be a daunting task. We reminded the panel that accounts placed with third party collectors are by definition delinquent. That being the case, we suggested the creditor be allowed to pick a logical point in time, such as the date of charge-off for a credit card, to provide a statement indicating the balance at that time, and then account for any additional charges or credits experienced thereafter? Representatives from the CFPB present at the meeting were actively engaged in the discussions and asked many questions seeking to clarify the information the industry panelists provided. They invited written follow-up expanding on points raised during the meeting. Deadlines previously established for publication of the debt collection rules have been extended several times. It appears likely that the deadline will be extended again as the CFPB seeks to better understand the inner workings of the industry they are attempting to regulate.